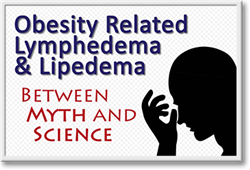 A must-see for every Certified Lymphedema Therapist and referring physician! There are many misconceptions about obesity and its association with lymphedema and lipedema. Many common myths negatively impact the treatment provided to patients suffering from these diseases. This lecture will change your attitude about obesity and alter your therapeutic approach and typical recommendations for patients suffering from obesity, lymphedema, and/or lipedema. For the full course details, CLICK HERE! NOTE: All online courses are ongoing and DO NOT have a specific start/end date. You will have 3 MONTHS of access to the course, starting when you receive your username and password by email. Once Klose Training receives your completed registration and payment for the course, you will be EMAILED with instructions within three business days. You must respond to the email in order to receive the lecture handouts (by email) and your username and password.